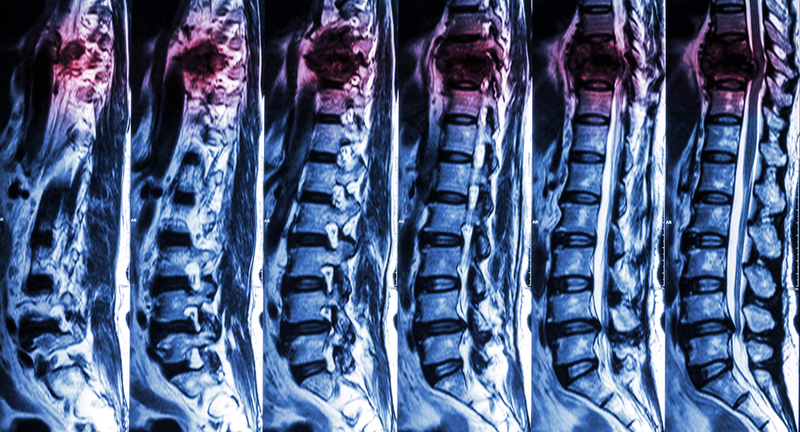 A spinal cord injury occurs when there is a blow or penetration of the spinal nerve column within the vertebral assembly; either dislocating the vertebra, the discs between the vertebra, or the ligaments and tendons that hold the column together. The dislocation pinches or severs the axons (nerves that make up the spinal cord) therefore cutting the signal. Think of cutting an electrical cable and the light goes off. Spinal cord injuries can either be complete or incomplete. An incomplete spinal cord injury means that the brain is still able to send and receive signals from below the injury in the cord. A complete injury is of course, when the brain is unable to convey or receive messages through the spinal cord. A complete injury is evident when there is a total lack of feeling or function below the area of injury. The higher the injury is located up in the spinal column, the resulting paralysis and loss of sensory affects more of the body. A quadriplegic (can’t move arms or legs) has a higher injury than a paraplegic (can’t move legs). If the injury is very high in the cervical spine just below the skull, the result is usually death because the brain is unable to send signals to the heart and lungs. Survivors of incomplete spinal cord injuries quite often suffer with medical complications such as bowel and bladder dysfunction, chronic pain, and cardiac or respiratory problems. Physical medicine and rehabilitation, surgery, and aggressive treatments like orthomolecular medicine and neuromuscular medicine can minimize the damage to the nerves as well as regaining some function. The extent of the injury is directly proportional to the ability to recover function.